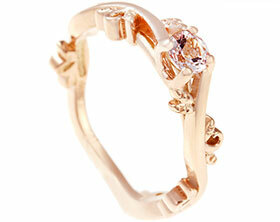 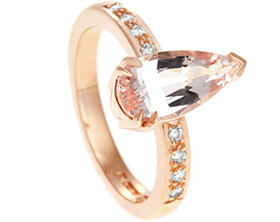 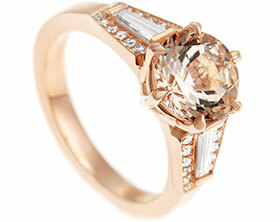 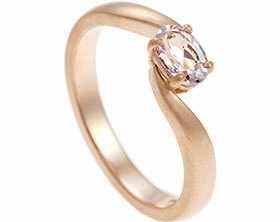 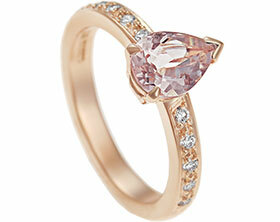 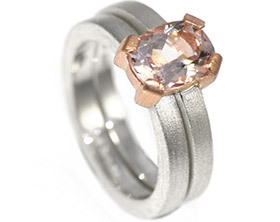 This dramatic morganite and diamond ring has been handmade in platinum by our chief goldsmith Richard. 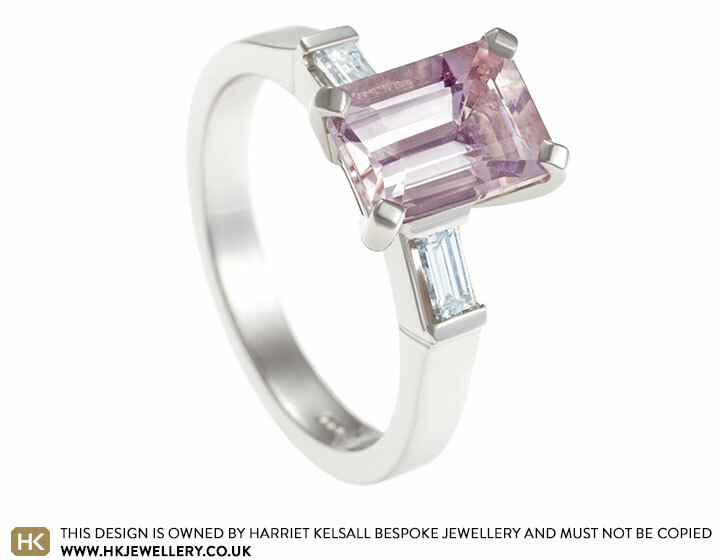 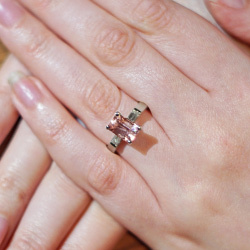 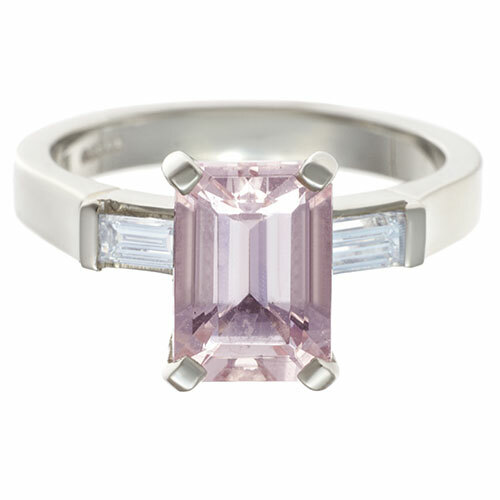 The central feature of this one-off design is the stunning 3.52ct emerald cut morganite that has been set into four claws to really exhibit the clean lines and subtle colour of the stone. 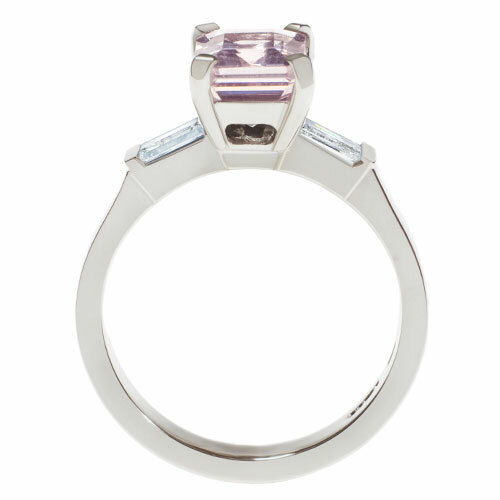 Two baguette cut G VS diamonds (totalling 0.25 carats) have been end only set either side of the central stone to add impact and geometric form to the front of the ring. 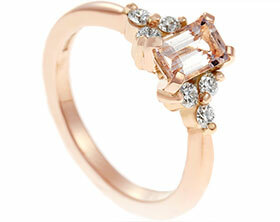 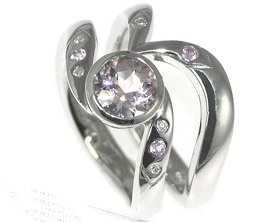 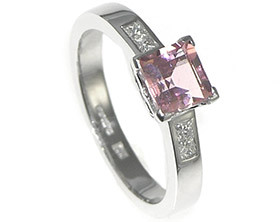 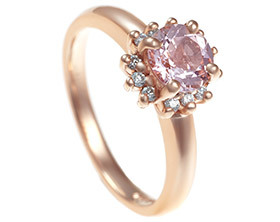 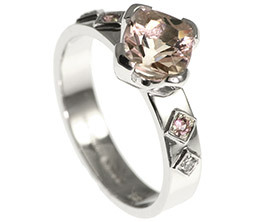 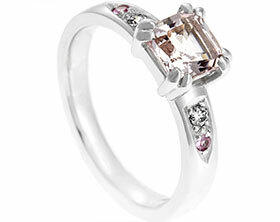 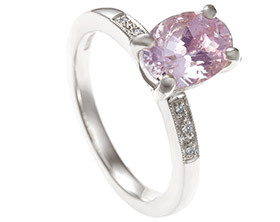 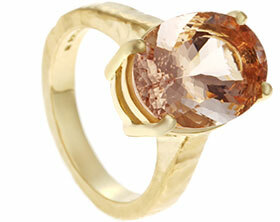 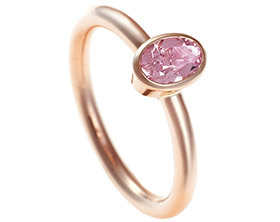 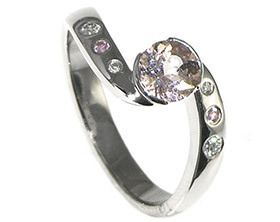 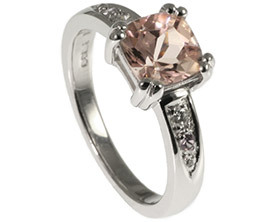 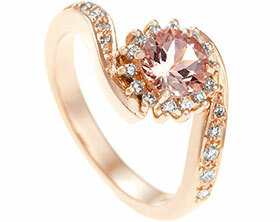 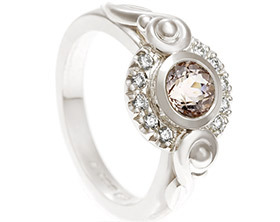 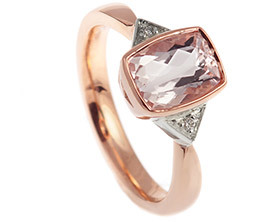 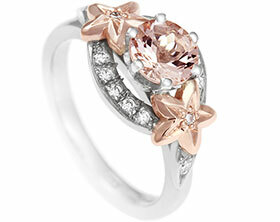 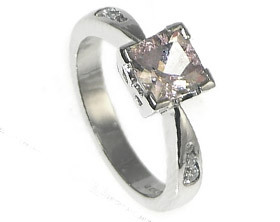 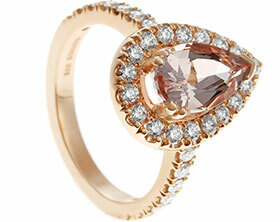 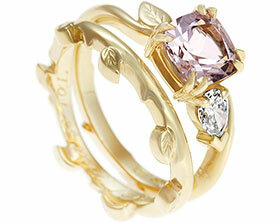 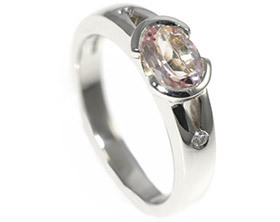 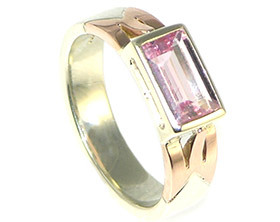 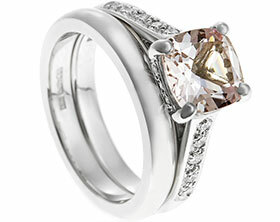 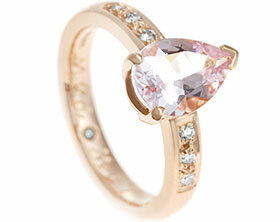 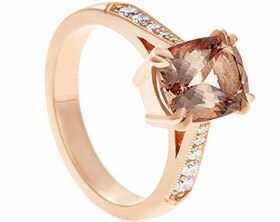 The cool tones of the platinum and the subtle warm hues of the morganite, combine together to create this unique and timeless piece.